Lens Description: Capture beautiful details with impeccable accuracy with this ultra-lightweight macro lens. Take pictures of flowers, coins, stamps, and more from less than 6 inches to infinity--with dramatic results. 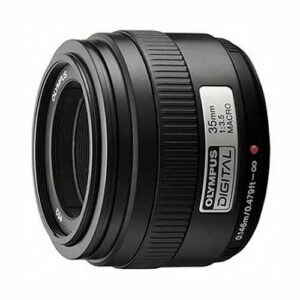 Designed exclusively for digital photography, this lens delivers rich, accurate colors and high contrast from edge to edge, and is ideal to use for macro shots and even standard landscape and portrait shots, as well. Lens distortions, shading, and exposure information are automatically corrected via the built-in CPU for even higher image quality. And because it weighs less than six ounces, carrying it is just as appealing as using it.